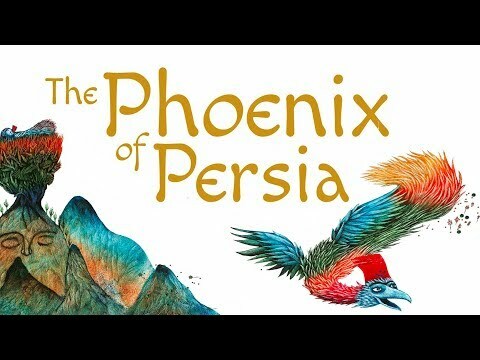 As part of Pop Up Festival, we are working with Tiny Owl Publishing to bring The Phoenix of Persia, an immersive story experience based on an epic Iranian poem, into classrooms around the country. The Phoenix of Persia by Sally Pomme Clayton and illustrated by Amin Hassanzadeh Sharif is based on a story from the Shahnameh, one of the great epics of world literature by the 10th century Iranian poet Ferdowsi. A king awaits the birth of his son but when the child is born with white hair, he is banished to the forest. This is the second in Tiny Owl’s “One Story, Many Voices” series. It’s available in book stores from 1 May 2019. The Phoenix of Persia is more than just words and pictures – it comes with its own original musical soundtrack, played on traditional Iranian instruments, like ney (a flute) and daff (a drum) – each representing different story characters. You can access the music, available free to download, via a QR code inside the book. As part of Pop Up Festival 2019, we will be bringing Sally Pomme and Amin into classrooms and venues around the country, giving children the opportunity to experience this unique story. Sally Pomme Clayton will create an immersive performance using Iranian storytelling techniques and music, while Amin’s workshops with children will explore centuries of artistic representations of Ferdowsi’s epic Shahnameh, from exquisitely detailed Persian miniatures to contemporary illustrations. Cross-curricular teacher resources explore the Shahnameh as part of a wider introduction to the culture and heritage of Iran with inspiring activities on history, art, music, drama, geography and more. These resources complement the creation of The Shahnameh Box – available free to loan via Tower Hamlets Schools Library Service across the UK; contact them by emailing gillian.harris@towerhamlets.gov.uk or calling 020 7364 6428. You can also access some of them on Tiny Owl’s website.